In our recent trip to Jordan, we discovered that it is more than a destination, it’s an experience – and so too was making the video. At Expedia, we aim to bring the world within reach of aspiring travelers, and one way we do that is by releasing Vacation Travel Guides on Expedia’s YouTube channel. 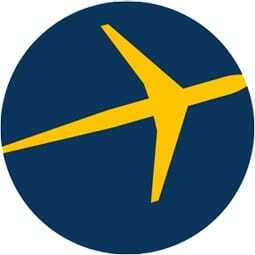 Over the past six years, Expedia has published 254 travel videos, covering many exciting travel spots spanning all corners of the globe. Amassing an average of 125,000 views a day, the videos have attracted an eager following of adventurous travelers hungry to see the best our incredible planet has to offer, and we’re excited to continue bringing inspiration to our 600,000+ subscribers. Not only are these travel guides wonderful introductions to the destination, they also give prospective visitors great trip planning ideas of what to do and where to go when they visit. Increasingly, searchers are turning to Video to get their information before booking travel. Our travel videos help customers take a virtual tour of destinations to give them an accurate idea of what’s in store. With plenty of research and consideration going into our shoots, we don’t merely aim to tell travelers where to go, we also love to highlight the magic of locations that makes locals proud to live in the amazing places they call home! Just looking at the comments affirms this – we only wish we could make videos for every destination! While these videos are a treat to watch, they’re just as enjoyable to produce. Our recent trip to Jordan is testament to that. Brimming with rich culture and unbelievable vistas, Jordan is one of the most intriguing travel destinations not only in the Middle East, but the world. This country of spectacular desert scenery and ancient monuments is more than a destination, it’s an experience — and so too was making the video. Our Jordan Vacation Travel Guide showcases the rich history and culture of this sun-baked country through stunning visuals and a soaring soundtrack. With so many spectacular attractions and experiences to capture in Jordan, the folks at Tourism Media (one of our content creation partners) had a big challenge ahead of them to piece together this video travel guide, which might just be our favorite yet. The first step in making the Jordan video happen was selecting it as a destination of interest for travelers. Shoot co-ordinator, Rohan Trundle, is part of the team in charge of planning the Expedia shoots, which involve a lot of time, research and tourism industry outreach. “Shooting Jordan was one of the biggest surprises of my year and I’m so glad our photographer Jon Reid recommended that I include it in the schedule,” he says. In addition to the epic attractions on land, Jon also loved to turn his camera skyward. “Jordan has beautiful night skies, so I really enjoyed photographing the stars. A very wide lens is important for star photography so my 12-24mm lens was indispensable,” he says. In fact, every angle of Jordan proved a frame-worthy moment, so much so that Jon returned for a second trip to bring back even more spectacular footage. For his first trip, our intrepid photographer drove himself around in a rental car. If you’re thinking of doing the same, Jon recommends buying a local SIM card to have access to data, because we all need maps! On his second trip, Jon traveled with the help and expertise of a local driver and guide. It’s something he recommends first-time visitors do as well. “You will learn a lot more about the country that way and it removes all the stress of traveling solo,” Jon says. Not only that, he covered a lot more ground and “ate incredible meals”. Well, you can’t argue with that. The scripts for our vacation travel guides certainly don’t write themselves. From the compelling raw footage of Jordan, scriptwriter Johnny Danalis had no shortage of inspiration. Before a script begins to even take rough shape, a massive amount of research goes into the destination. The longer you look, the more you find there is to learn and that couldn’t be truer for Jordan. 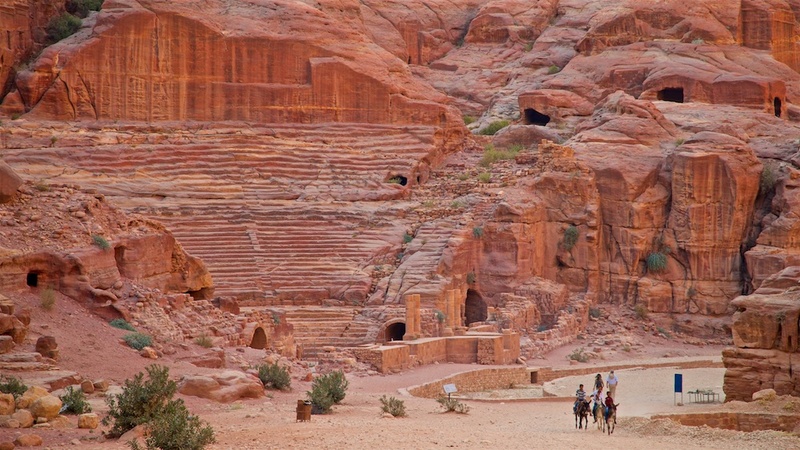 According to Johnny: “Before starting the project, when I thought of Jordan, I thought only of the ancient city of Petra. Most people spend a night or two in Amman and go on to Petra to continue their Middle Eastern journey. What we learnt, however, is Jordan offers plenty to keep you busy for at least a couple of weeks.” You’ll see this in the video, as one shot of glorious monuments, jaw-dropping landscapes and rich culture follows the next. Diving into Jordan was an immersive experience for Johnny, who says he “followed the fascinating crossroads of history” and familiarized himself with the culture and landscape of a “timeless country.” In fact, Johnny was so enthralled by this Middle Eastern jewel that he’s planned a bike ride for this year, which will take this pedal-pushing scriptwriter from the north to the south of the country. The enchanting soundtrack accompanying the beautiful footage is all thanks to Jacquie Joy, one of Tourism Media’s talented composers. Being one of our longer videos, Jacquie says she “got to write a piece of music like it was for a film.” More than just complementing the landscapes, Jacquie explains that it was important to marry the soundtrack with the narration. “I had the challenge of linking the words to the images because the footage would be of old ruins in the desert while the narrator was telling stories of dancing girls and gladiators,” she says. Historically, the music in our Travel Vacation Guides has been aligned with the visuals. However, in this case, Jacquie focused on enhancing the story through her evocative composition. This was the first piece of Middle Eastern music Jacquie composed. To get it right, she listened to endless hours of the genre and studied the instruments that make it sound so unique. “I wanted to stimulate people’s imaginations,” Jacquie says. The result? Viewers can almost picture the thundering armies of old kicking up the red earth, or the world that once existed when the desert ruins were whole; and through the sounds, modern Jordan comes alive. From the treasure trove of footage captured, it’s up to the editing team to put together a visual narrative. Matthew Sawyer, who heads the editing and publishing of the videos, also fell in love with Jordan. “I learn so much about the world every time I edit one of Expedia’s Travel Guides. With Jordan, it was a feast of knowledge, not only about the culture and cuisine, but the passion and dedication of the people who have lived there over the millennia,” Matt says. When pulling the video together, it was important to have a cohesive thread linking the shots, from the capital Amman to the ancient city of Petra and the shores of the Dead Sea. “The sun is a motif in this journey, and Jon made sure to capture some amazing footage with the sun glinting through ruins and mountain peaks,” Matt says. Jordan has got the goods for the culture-loving traveler. Check out our Vacation Travel Guide video, or pay Jordan a visit to see for yourself! Get your flights to Jordan. Check out these awesome vacation packages to Jordan. Rent a car in Jordan. Find out more about activities in Jordan.